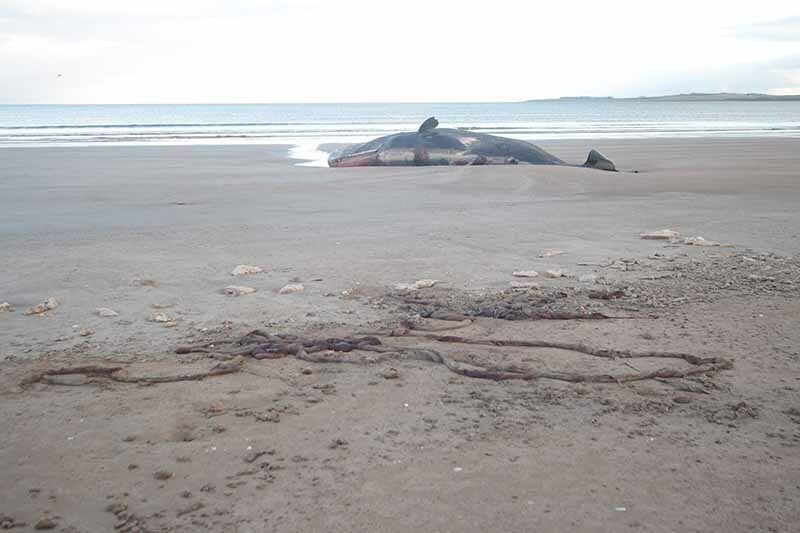 A sperm whale has died after becoming stranded on an Easter Ross beach near a practice bombing range. The 50ft long adult whale was found within the Tain Air Weapons Range complex after the Scottish Marine Animal Strandings Scheme received a phone call from a member of the public. The range was subsequently advised and although the location was not immediately accessible to range personnel or visible from the control tower, a Tornado GR4 aircraft from RAF Lossiemouth was sent to investigate. The aircraft flew low above the beach and passed on the adult whale’s location. Range staff went there with a 4X4 vehicle and at this point it was discovered that the whale had died. The whale was discovered on Wednesday and yesterday a team of scientists arrived to conduct tests to ascertain the cause of death. The location of the whale is not accessible to the general public.